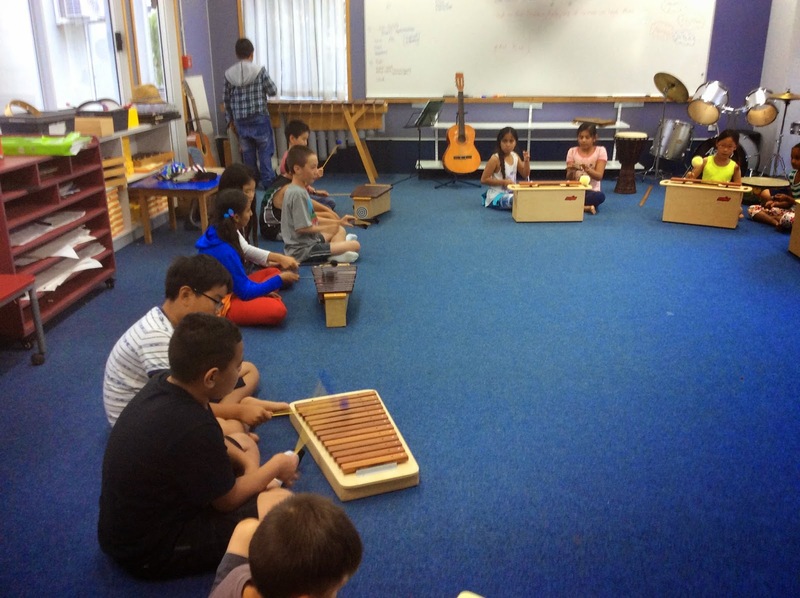 Today was the first day of my music programme with Rooms 9, 15 and 21. For two weeks I have been retrieving and repairing instruments kept in storage for 4 - 5 years. Now it's all ready. Each class stays with me for a full 90 minutes. I offer a huge thank you to our principal, Ash Maindonald for making it possible to bring my music-making to our school. I knew I was going to enjoy this new work but I was not prepared for what a rich experience this was going to be with the children. I told all three classes today that being a music teacher feels like Christmas morning to me. It's exciting and full of surprise. 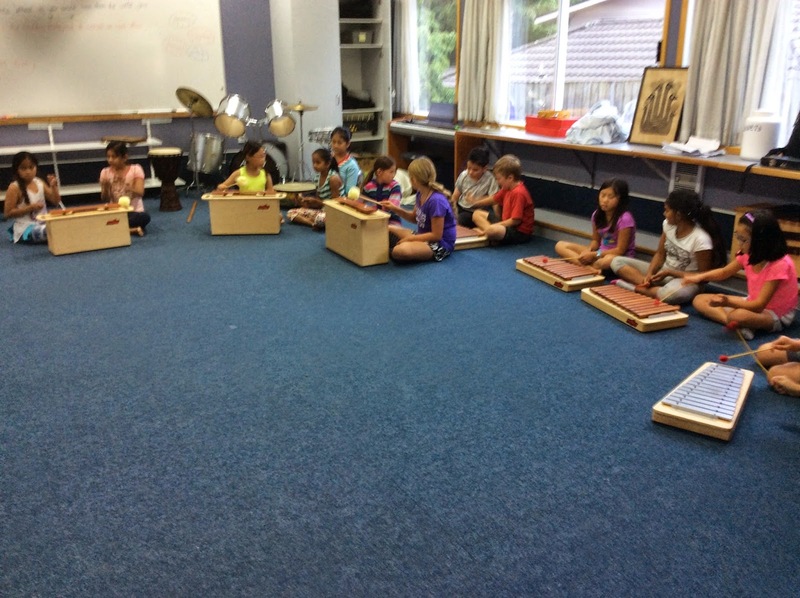 I hope I'll help children be artists - to savour and expand their musical environments. We started with the question: What do we need to respect in a music room? 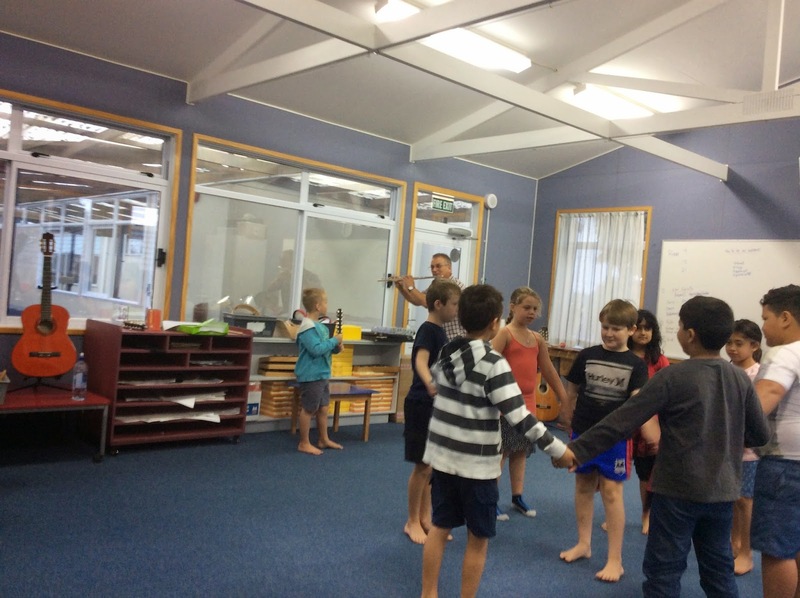 From this we built a dance to match the form and movement of the music. We bowed to the objects in the room, to our classmates (who responded with their own salut) and of course, the children all bowed to the teacher. And the teacher bowed to the wonderful children. Sasha (Rm 21) astounded and delighted me by saying that one thing we need to respect is the music! I observed this talented girl and she really soaked up the various instruments. What an important idea to offer and she's only 9 years old! 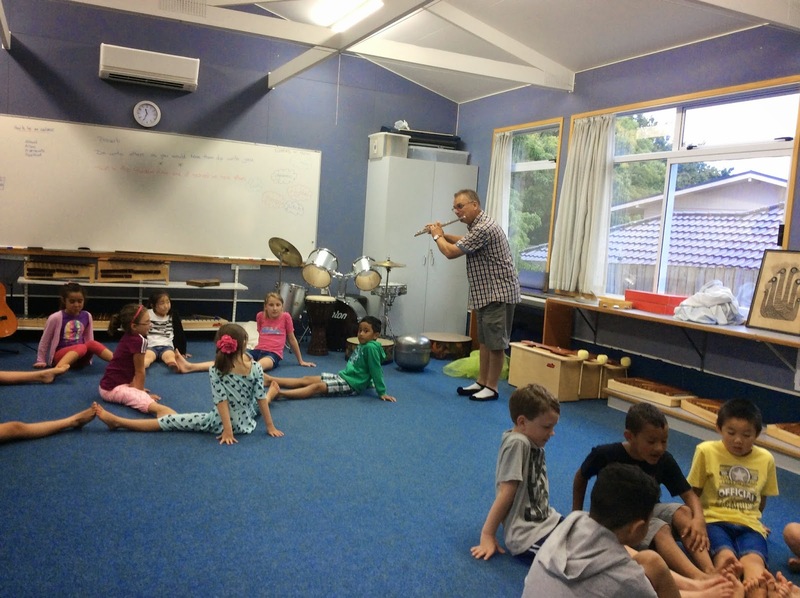 We also played with the six elements of music (more on that later) while the senior class explored the new instruments - marimba, drums and tuned percussion, and I nearly forgot, we opened a box of ukeleles that we will be able to play after Waitangi Weekend. The flute I am playing is a gift from my father's close friend Feri. He too is a musician who has inspired me my whole life. He gave me his flute long after my father died. When I play it, I am honouring Feri's and my father's gift of music to me and, as Sasha said, music itself.